Excellent Condition, GREAT MILES 49,597! Leather Interior, Navigation, Sunroof, Rear Air, Turbo Charged, iPod/MP3 Input, Multi-CD Changer, Premium Sound System, Satellite Radio, REAR SIDE AIRBAGS, SPLIT-FOLDING REAR SEAT READ MORE! Navigation, Leather Seats, Quad Bucket Seats, Rear Air, Turbocharged, Premium Sound System, Satellite Radio, iPod/MP3 Input, Multi-CD Changer, Onboard Communications System, Aluminum Wheels, Keyless Start, Dual Zone A/C, Smart Device Integration MP3 Player, Sunroof, Keyless Entry, Child Safety Locks, Steering Wheel Controls. PARKTRONIC active parking assist, ACTIVE MULTICONTOUR DRIVER SEAT massage feature, SPLIT-FOLDING REAR SEAT, REAR SIDE AIRBAGS. 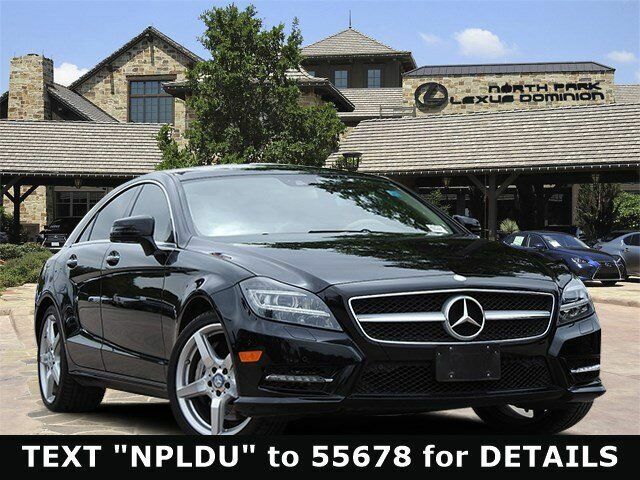 Mercedes-Benz CLS 550 with Black exterior and Almond/Mocha interior features a 8 Cylinder Engine with 402 HP at 5000 RPM*. Low Miles, Exceptionally Clean, Great Color, Local Trade. Pricing analysis performed on 3/30/2019. Horsepower calculations based on trim engine configuration. Please confirm the accuracy of the included equipment by calling us prior to purchase.